Last week I was invited to speak at a Vinicultural and Oenology event held at the JH Neethling building at Stellenbosch University. The event was centred around the beauty of wine and South Africa’s vibrant wine industry. It was also aimed at highlighting professionalism in the industry and the opportunities available to up and coming winemakers and students wanting to enter the trade. 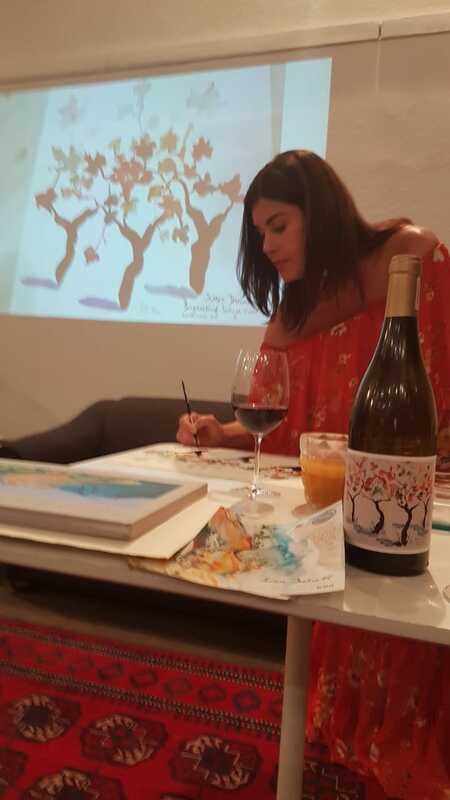 Being a wine event, you may wonder why a South African artist was invited to deliver a talk? Painting with various mediums has always been at my heart. 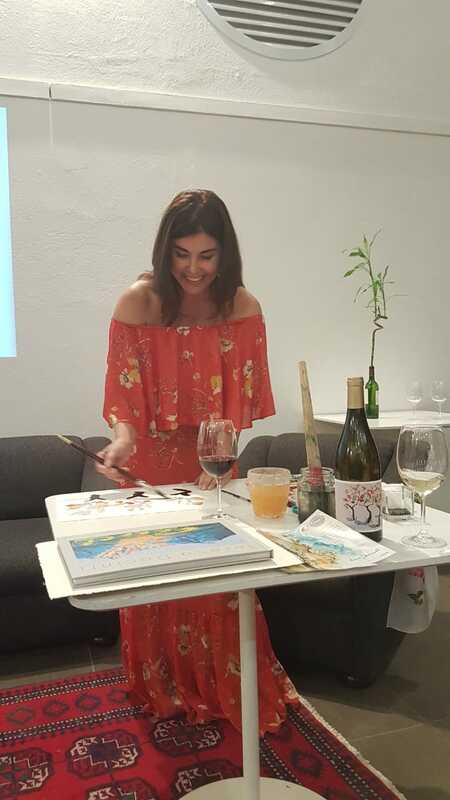 About 3 or 4 years ago, living in Stellenbosch’s wine-growing region known as the Golden Triangle it crossed my mind – could wine be used as paint? 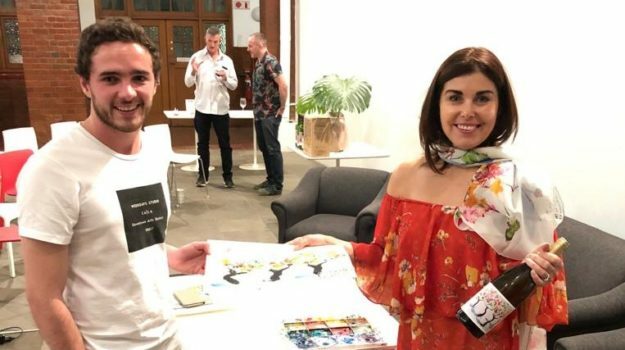 I wanted to be innovative and combine wine, watercolour and Japanese ink to create artwork that visitors could take away with them – something to remind them of magnificent Stellenbosch. I painted vines using all three mediums and the results were stunning. Since then I have used wine interchangeably and I have had wonderful results and have featured at many events centred around wine. I have exhibited at LA Petite Ferme and recently I was invited by Beyerskloof to exhibit at their Pinotage Day. For the event at Beyerskloof, I was asked to paint 10 limited edition paintings with their world-renowned Pinotage and each was signed by Beyers Truter, the man behind the award winning wine cultivar. So far I have sold 5 of the 10 paintings – the remaining paintings are available for purchase at my art gallery in Stellenbosch. The Teresa Decinti Art Gallery in Stellenbosch is open 6 days a week – 9am to 5h30pm Monday to Friday and 9am to 2pm on Saturdays. Private viewings can also be arranged by appointment. For more information about Teresa exhibiting at wine farms or presenting talks on painting with wine, please contact us.